Can I do wine tastings and still drive? As a general rule our itineraries are planned so that driving is minimised while visiting wineries, for example by booking wineries that are within walking distance from each other. In any case, wine tasting etiquette does not require that you drink and it is perfectly acceptable not to do so. There will be spittoon buckets available for your use at each winery. 95% of the time the price quoted for the tour will be as on the tour page. However, in Spain there are a number of special festivals and holidays which may raise the price of certain local services, such as Easter, Film Festival in San Sebastian, Santiago´s Day, the Festival of San Mateo or San Fermines, etc. If you would like to make your reservation over some of these dates, this may mean that the given price may change. It would be a good idea to check your dates with us first or make your reservation in advance. To make your reservation, please contact us by clicking "Make an enquiry". We will require a 15% deposit to hold your reservation and begin working on your itinerary.The remaining amount can be paid when we send you your trip itinerary. Normally, your personalized itinerary is sent 2 months in advance although this depends on when the trip is booked. Absolutely, we would be happy to incorporate your preferences. Your reservation already includes 2 hours extra ´personalized tour design´ work by one of our travel consultants, which should be enough time to make reasonable changes to your itinerary (see Included/Not Included sections above). No problem! Please contact us with us regarding your preferences. You may want to include additional nights in a hotel or add an extra city to your trip. Additionally, if you add another multi-day tour or road trip to this tour, you will receive a 5% discount on the second tour. If cancelled more than 30 days before the trip starts, 15% of the total trip price will be deducted to account for tour organisation and administration costs. If cancelled less than 30 days to the trip start date, a 30% fee will be deducted. Trips cancelled 7 days or less before the trip start date are non-refundable. We recommend purchasing travel insurance. The following itinerary is merely a recommendation and can be customized according to your desired preferences (enjoy the 4 customizable hours we provide you once having booked this tour). This is the best way to explore the contrasting Andalusian cities which sit amidst rugged lofty mountains and to arouse your taste buds through experiencing the food and wine of the region. You will be chauffeured from each destination to the next in a private minivan meaning there will be no hassle of you having to drive. After your morning breakfasts, your minivan will be waiting outside the hotel you are staying at to take you on your exciting excursion planned for the day involving gastronomy and wine. On day 1 of the private tour you will be picked up by your guide from your hotel in Madrid to begin the journey to the Land of The Conquerors - Extremadura. On the way to Trujillo, a medieval town scattered with peaceful courtyards and gardens, you will stop at a winery. Trujillo is known for its history of being built on gold brought back from America by the “Conquerors.” Buildings around the city, perched on a hill, emit the essence of the town´s enormous accumulated wealth from the 16th century. Your first meal will be a typical Extremadura dish. After this your journey proceeds onward towards Cáceres, a monumental city with an astonishing horizon consisting of gargoyles and beautifully-shaped turrets. It is considered to be one of the most well-preserved medieval towns in the whole of Spain and if you decide to ponder through the streets when there are fewer people around, you truly feel like time has reversed and you are in the Middle Ages. Our team has carefully chosen an elegant hotel for you to stay at tonight and to end the day you will have an interesting tapas tour where you´ll get to try a speciality from Montanchez: Jamón Iberico (cured ham). Following your delicious breakfast, it will be time to depart from Cáceres and head for Mérida, a Roman-built town which is the capital of Extremadura. You will visit a family-owned winery to start off the day. Want to feel like you have been teleported back to Roman times? Walking around the ancient ruins scattered in Mérida will make you feel just that. Mérida is a destination which lies directly on one of the most famous Roman trade routes called “La Ruta de la Plata.” It was the transportation of pure silver along this route to harbours that helped build the empire. In Mérida, the archaeological ensemble is a UNESCO World Heritage Site and you will explore the well-preserved ancient theatre. You will then enjoy a traditional Extremadura lunch at a restaurant which has a unique concept when it comes to their culinary art. If you are curious and want to discover more of Spain´s hidden places, you can request for an additional stop en route to Seville. The hotel we have chosen for you in Seville is situated deep within one of the most charming districts called Santa Cruz (the old Jewish quarter); known for its hidden gardens and scented-narrow streets. The evening will consist of a tapas tour with your friendly guide. Today will be spent immersing yourself in the Andalusian capital´s culture through visiting remarkable areas and monuments around the city. Seville is a lively and enchanting city with its gothic, pointed-spired cathedral overlooking the municipality. The broad, crystal-clear Guadalquivir River gives Seville an amorous touch. Your guide will pick you up from your hotel to begin exploring all the aspects of the city. Seville´s imposing, gothic cathedral (the largest in the world) was in-fact once a mosque which was then converted. The untouched, tall-standing minaret still exists and its presence displays magnificence till this day. Next you will visit Seville´s Alcazar (palace) which stands amidst botanic gardens and gangly palm trees. Within the palace you will see picturesque courtyards, fountains and lush-green gardens. According to your preference and level of energy, we will organize something pleasant for you to do for the rest of the day. You can either enjoy a relaxing cruise on the Guadalquivir River or visit the Triana neighbourhood to attend a flamenco show (which originates from Andalucía). To end the day, you will be dining at an excellent restaurant which offers a tasting menu for you to try the different cuisine of the region. Interested in visiting the modern, sherry-capital of Andalusia? If so, we can fit in a quick tour to Jerez de la Frontera. You also have the option of either spending more time in Seville or departing early for Granada. We have booked you for 2 nights at an elegant hotel in Granada and tonight you will be dining at one of the city´s top restaurants. Today your local guide will meet you at your hotel and the private tour of this stunning city will begin. Granada, which is situated just at the bottom of the stupendous Sierra Nevada Mountains, has an interesting history to it. Whilst you roam the streets you will find two contrasting worlds; one rich in heritage from its artists, philosophers and poets; the other very modern. Perched on a hill and encircled by a lush-green forest, you will see the spectacular Alhambra – an Islamic palace. Once inside, you will be astonished by the well-kept gardens, richly-decorated fountains and unique works of art. After your visit, you will have free time to ponder through the jasmine-scented streets and discover more. You will receive recommendations from your guide on further things to do (based on your preferences) and also places for dinner. 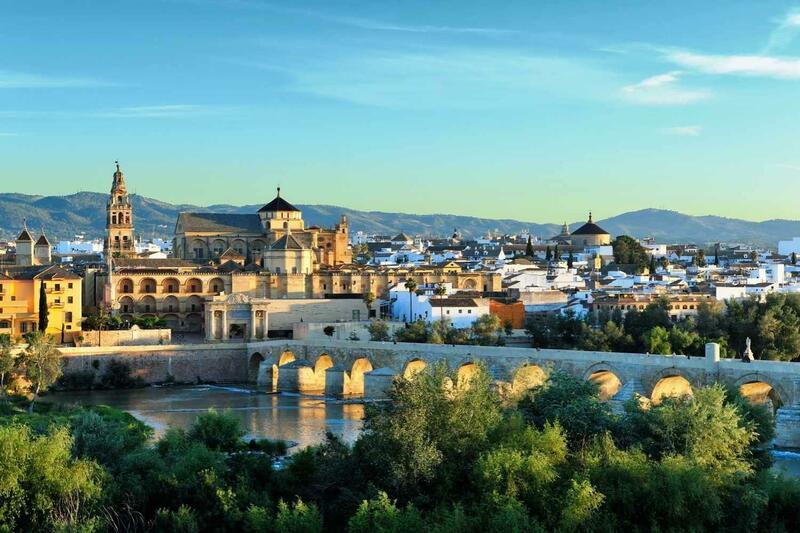 After having woken up and eaten breakfast, you will be chauffeured to Cordoba; a city which was once the Islamic capital in Spain. Upon request, we will arrange a visit to an olive oil producer in Montilla. Following the check-in at your luxury boutique hotel we have carefully selected for you in Cordoba, you will be joined by your local guide for a tour of the Mezquita (mosque). The interior is visually stunning and you will discover it´s beautiful, tall-standing marble pillars and finely, Moorish- decorated ceilings. There will also be an additional visit to the city´s alcazar. After waking up and eating breakfast, you will be met by your guide and driver to start the drive to Almagro via Jaén and Ubeda; two highly underappreciated places which contain hidden charms and are definitely worth visiting. 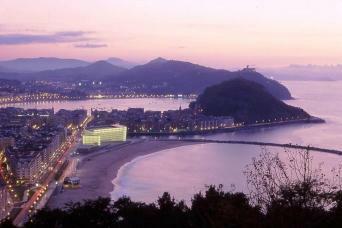 This tour gives you the chance to discover the so-to-say “undiscovered” Spain. You will see for yourself the incredible Renaissance-style cathedral in Jaén and also discover the elegant architecture of buildings in Ubeda. In La Mancha (Almagro´s region), you will visit a superb winery followed by a traditional meal from the region. One of Almagros most appealing parts is its stunning Plaza Mayor which has two intense-green buildings running parallel against each other; something uncommon to see on other squares around Spain. It is also Almagro´s theatre from the XVII century which is a true eye-catcher. We have chosen on of Almagro´s finest hotels for you to stay the night at and you will be accompanied by your guide for excellent tapas where you will enlighten your knowledge on Manchego Cheese. After your breakfast today, your tour guide will take you to visit the courtyard theatre which dates back to the XVII century. But it does not all end here. The tour will take you onwards to visit the famous bright-white Don Quixote windmills; amidst the scenic landscapes consisting of green fields, luxuriant vineyards and ancient castles. For today, lunch is booked at a traditional Manchego restaurant to enjoy the scrumptious local cuisine. After digestion, you will be driven to Toledo which was in-fact once the capital of Spain. Here you will enjoy tour with your English-speaking guide through the old imperial city as well as visit two extraordinary monuments we have chosen for you. Our professional team will assist you with your remaining trip according to what your plans are. 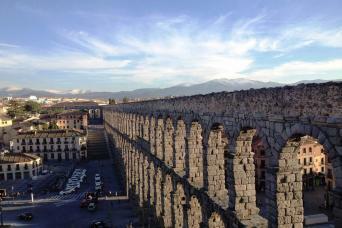 If you wish to explore more of Spain, you can take a look at our other tours.